As a culmination of the month-long PrintAustin event, the Serie Project will showcase a selection of prints by women artists from the last 21 years of the Artist in Residence program. 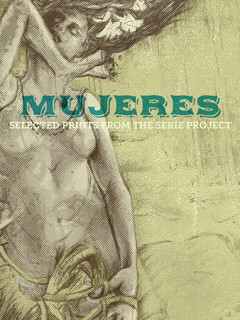 The opening reception of Mujeres: Selected Prints from the Serie Project will serve as the official closing party of PrintAustin, so top off your printmaking fix with an evening of choice prints, music and refreshments. Mujeres: Selected Prints from the Serie Project opens on February 14 and will be on display by appointment until March 14.